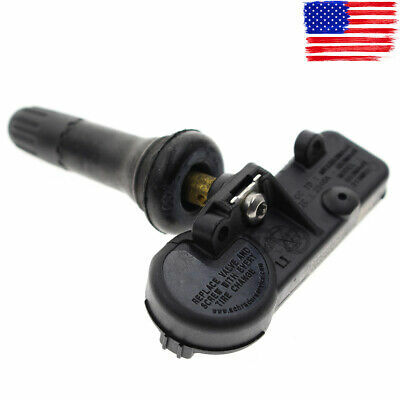 Home About Us Delivery Returns Warranty Contact Us Genuine TPMS Tire Pressure Sensor for GMC Acadia Sierra Yukon Chevy Avalanche Item Description USA Seller, Ship Worldwide Our products and service will speak for themselves! Feature FCC ID #: MRXG53MA4S Frequency: 315 MHz Interchange Part Number 25920615 20923680 13586335 Compatibility Please make sure the interchange part number matches the part you are replacing. To check compatibility, please provide us with the VIN# of your vehicle. These sensors require programming. Please check your owners manual or have the sensors programmed at the dealership. Buick: 2009-2014 Buick Enclave 2007-2011 Buick Lucerne 2008-2009 Buick Lacrosse Cadillac: 2008-2014 Cadillac CTS 2006-2011 Cadillac DTS 2007-2009 Cadillac SRX 2010-2011 Cadillac STS 2007 Cadillace Escalade (snap-in style) 2008-2014 Cadillac Escalade Chevy: 2007 Chevy Avalanche (snap-in style) 2008-2013 Chevy Avalanche 2007 Chevy Silverado (snap-in style) 2008-2013 Chevy Silverado 2007 Chevy Suburban (snap-in style) 2008-2014 Chevy Suburban 2007 Chevy Tahoe (snap-in style) 2008-2014 Chevy Tahoe 2009-2014 Chevy Traverse 2008-2011 Chevy Aveo 2008-2011 Chevy HHR 2007 Chevy Impala (snap-in style) 2008-2014 Chevy Impala 2008-2009 Chevy Malibu (snap-in style) 2010-2012 Chevy Malibu 2007 Chevy Monte Carlo (snap-in style) 2008-2010 Chevy Cobalt 2008-2009 Chevy Equinox GMC: 2009-2014 GMC Acadia 2007 GMC Sierra (snap-in style) 2007 GMC Yukon (snap-in style) 2008-2014 GMC Yukon Hummer: 2008-2009 Hummer H2 Pontiac: 2009-2010 Pontiac G3 2007-2010 Pontiac G5 2008-2010 Pontiac G6 2008-2009 Pontiac G8 Saturn: 2007-2009 Saturn Aura 2007-2010 Saturn Vue Package list Tire Pressure Sensor x 1 You will receive exactly what you see on the picture Payment Payment via PayPal (PayPal accepts all major credits/debit cards and eCheque)ECheque payment will take 3-10 days to get clear, thus DELAYing the shipment. Delivery details Handling time: 1 business day (Orders are not processed on weekends & holidays)Tracking information will be sent once item is shipped.Local pick-up is unavailable at the moment.Item is shipped to ebay address. Leaving correct address can minimize delay. Terms of sales No returns will be accepted without an RMA number. Please contact us for the RMA number.Return is acceptible within 60 days of delivery.Return for replacement or money back is optional.Returned items must be in brand new, unaltered and resalable condition. Buyers pay return and replacement shipping cost.Seller is not responsible for any customs duty/import tax, labor cost, expense in a dealer store, or damage due to wrong installation. About us Topgearsltd has been selling autoparts since 2010. Topgearsltd carries replacement parts and accessories for all types of cars, trucks, ATV, UTV and motorcycles. With a high rate of positive feedback, our products and service speak for themselves! Contact us All messages will be answered within 1 business day.Please contact us either by clicking "contact seller" in the "purchase history" section or simply click "ask a question" at the bottom of this page.